An Art|Sci Center alumni—will be joining us at the end of the quarter as the Bermant Foundation Resident. 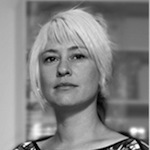 Anne is a media artist and designer working in the fields of wearable technology, interactive installation and audio-visual design. She is particularly fascinated by the convergence of art, science, design and technology, and she pursues collaborative and cross disciplinary projects. 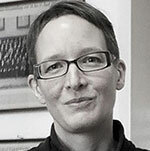 Claudia Schnugg is a researcher, educator, producer, and curator with an interdisciplinary background in social sciences, business administration, cultural sciences, and the arts. Currently, she is exploring the practices and social dynamics of interdisciplinary collaborative projects, involving art, science, and new technologies. 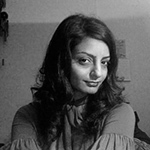 Apart of her research projects she is working with institutions like Science Gallery International to support them in developing research proposals and artscience research opportunities, and consults scientific institutions in the development of artscience projects, artist in residence programs, and artscience interventions. 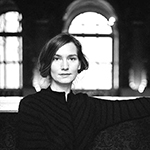 Previously, she curated the Ars Electronica Residency Network. This included EU projects and programs in cooperation with institutions like CERN, ESO (European Southern Observatories), Queensland University of Technology, voestalpine, and Chungnam Culture Technology Industry Agency. Prior academic positions include an Assistant Professorship at the Johannes Kepler University, Linz, and a Visiting Postdoctoral Research Position at Copenhagen Business School, with special focus on organizational aesthetics and artistic interventions in business contexts. 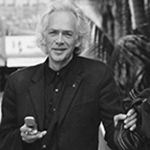 dward A. Shanken writes and teaches about the entwinement of art, science, and technology with a focus on interdisciplinary practices involving new media. He is Director of the Digital Arts and New Media (DANM) MFA program at UC Santa Cruz and Associate Professor in the Arts Division. Prior academic posts include Digital + Media MFA program at Rhode Island School of Design, DXARTS Ph.D. program at University of Washington, New Media International MA at University of Amsterdam. Fellowships include National Endowment for the Arts, American Council of Learned Societies, UCLA, University of Bremen, University of Memphis, and Washington University in St. Louis. 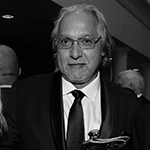 Dr. Shanken earned a Ph.D. and MA in Art History at Duke University, an MBA at Yale University, and a BA at Haverford College. 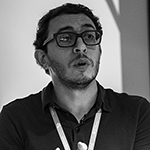 Nawar is an artist, designer, and researcher who currently lives and works in Cairo. He is Assistant Professor and Director of the Graphic Design program, Department of the Arts at the American University in Cairo. 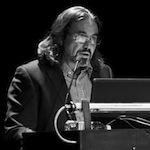 He is the founder and director of the Cairotronica, Cairo Electronic, and New Media Arts Festival. Nawar received his Ph.D. from the Planetary Collegium, Center for Advanced Inquiry in Integrative Arts, School of Art and Media - University of Plymouth. He holds a Masters of Advanced Studies ZFH in Spatial Design, Institute of Design & Technology, Zurich University of the Arts, Switzerland and an MFA in New Media and BFA in Printmaking from the Faculty of Fine Arts, Cairo, Egypt. He is a Fulbright alumni. Since 1999, he has participated in several international exhibitions, biennales, and triennials, the latest of which was Venice Biennial in 2015. Nawar won awards and acquisitions nationally and internationally in Algeria, Bosnia and Herzegovina, China, Cyprus, Egypt, France, Greece, Germany, Italy, Japan, Lithuania, Portugal, Kuwait, Spain, South Africa, South Korea, Switzerland, Syria, UAE and the United States. Ina Conradi, Associate Professor at the Nanyang Technological University Singapore, School of Art, Design and Media, is an award-winning digital new media artist living and working in Singapore. 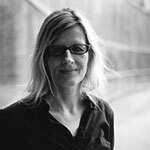 Her works innovatively span several disciplines: digital painting, experimental stereoscopic animation, installation, architecture and new media. Ina’s research interests are in new media art investigations through art form that redefines the wide spectrum of what painting can be. Her explorations define the new pictorial experiences that translate traditional physical act of painting into variable media spaces, innovatively employing digital animation, VFX, and since 2010 stereography. 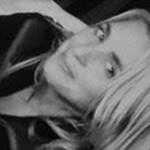 Linda Weintraub is a curator, educator, artist, and author of several popular books about contemporary art. She has earned her reputation by making the outposts of vanguard art accessible to broad audiences. The current vanguard, she believes, is propelled by environmental consciousness that is not only the defining characteristic of contemporary manufacturing, architecture, science, ethics, politics, and philosophy, it is delineating contemporary art. “TO LIFE! Eco Art in Pursuit of a Sustainable Planet” was preceded by the series, Avant-Guardians: Textlets in Art and Ecology (2007). 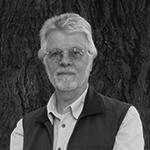 It includes EcoCentric Topics: Pioneering Themes for Eco-Art; Cycle-Logical Art: Recycling Matters for Eco-Art; EnvironMentalities: Twenty-two Approaches to Eco-Art. Weintraub established Artnow Publications in order to apply environmental responsibility to the books’ material production. 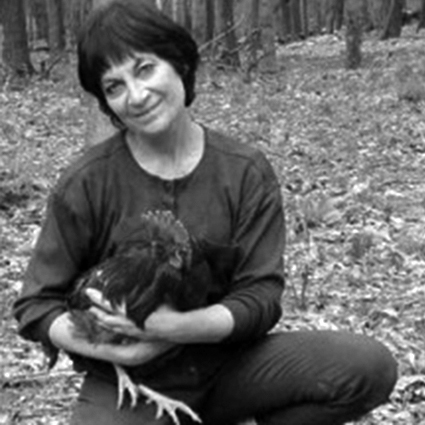 Linda applies these environmental concerns to her personal life by managing a sustainable homestead where she practices permaculture. Weintraub is also the author of In the Making: Creative Options for Contemporary Artists and Art on the Edge and Over: Searching for Art’s Meaning in Contemporary Society. She edited ANIMAL. ANIMA. ANIMUS with Marketta Sepalla; served as the director of the Edith C. Blum Art Institute located on the Bard College campus where she originated fifty exhibitions and published over twenty catalogues; and held the position of Henry Luce Professor of Emerging Arts at Oberlin College. Dear Mother Nature at the Dorsky Museum, SUNY New Paltz is the most recent exhibition she curated. Other exhibitions include Lo and Behold: Visionary Art in the Post-Modern Era, Process and Product: The Making of Eight Contemporary Masterworks, Landmarks: New Site Proposals by Twenty Pioneers of Environmental Art, Art What Thou Eat: Images of Food in American Art, and The Maximal Implications of the Minimal Line. 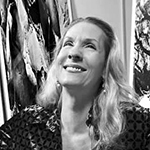 Weintraub received her MFA degree from Rutgers University. Incoming Art|Sci artist in residence, she has been developing trans-disciplinary performances and installations that address biopolitical issues for five years. 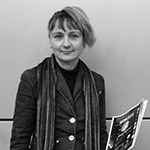 An artist and stage director, she holds a senior postdoc position at the University of Applied Arts Vienna. She has performed at Budascoop Kortrik, Tanzquartier & Belvedere/21 Haus Kortrijk, Tanzquartier and Belvedere/21er Haus, Vienna and her installations have been shown at the Haus der Kulturen der Welt in Berlin, the BEALL Center for Art + Technology in Irvine, and the OK Center in Linz, where she was awarded an Honorary Mention (2015) at the Prix Ars Electronica. 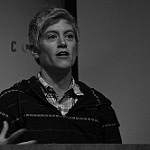 She has published articles on her trans-disciplinary performances in Performance Research, Kunstforum International, Springerin, and The Lancet, among others. Mark Chavez is an animator, artist, educator and entrepreneur who has developed systems and techniques for animation across various media. 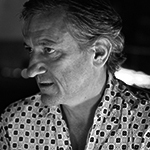 He has worked on more than numerous award winning major feature films and innovative interactive titles to his credit at animation studios such as LaserMedia Inc. Los Angeles, Philips Interactive Media, Tokyo Broadcasting System (TBS) Japan, Acclaim Entertainment New York, Dreamworks Feature Animation Glendale and Rhythm and Hues Studios Los Angeles. Animation industry veteran and founding faculty at Nanyang Technological University’s School of Art, Design and Media’s Digital Animation area, he is currently based in Singapore and Los Angeles, founder of Giant Monster Pte Ltd. Mark holds a Master’s of Fine Art from UCLA. Editor-in-chief at CGmag. After studying at the Universities of Applied Sciences in St. Pölten and Hagenberg, Martina started working for the Industrial Motion Art visual effects and digital art studio in Linz and later Vienna. Currently, she is working on her doctoral thesis at the University of Applied Arts Vienna. Under Professor Alfred Vendl she is creating marine biology animations for the new collaboration with Victoria Vesna and the ArtSci team -- the Noise Aquarium. Dr Miu Ling Lam is a media artist and researcher of robotics, interactive media and bioinformatics. 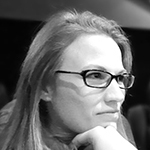 Her most recent research focuses on 3D immaterial displays, visual-odometry-based robotic cinematography, and computational models for single molecule DNA profiling. Her work has been published in scientific journals and book chapters, such as Journal of The Royal Society Interface, Sensors and Actuators, IEEE Transactions on Robotics, and Journal of Laboratory Automation, as well as leading robotics and computer graphics conferences. Her earlier research includes multi-fingered robotic grasp, geometric algorithms for wireless sensor network deployment, and obstacle avoidance for redundant manipulators using neural network. In er postdoctoral fellowship she specialized in nanotechnology and art-science. She joined the School of Creative Media at Hong Kong CityU after her residency. is a digital media artist, designer and assistant professor coordinating the Multimedia Art degree at the University of Lisbon. 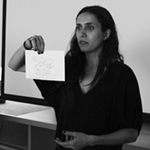 She is also a researcher at M-ITI - Madeira Interactive Technologies Institute, collaborator at CIEBA – Centro de Investigação e de Estudos em Belas-Artes, and founding member of AZ Labs hackerspace altLab. Interested in designing for a more sustainable world, Mónica is exploring real-time interactive systems at the intersection of Art, Science and Technology. 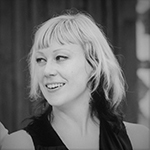 Vera is a master student at the Interface Culture Lab, University of Art and Industrial Design Linz and doctoral candidate in philosophy at the University of Applied Arts Vienna. Her research interests are the artificial replica in the image of the human as well as the ethical and social implications of science and technological progress, utilizing a broad interdisciplinary approach. March and April 2019.